If you haven’t realized it by now I enjoy exploring old frontier forts that are scattered across western Canada. 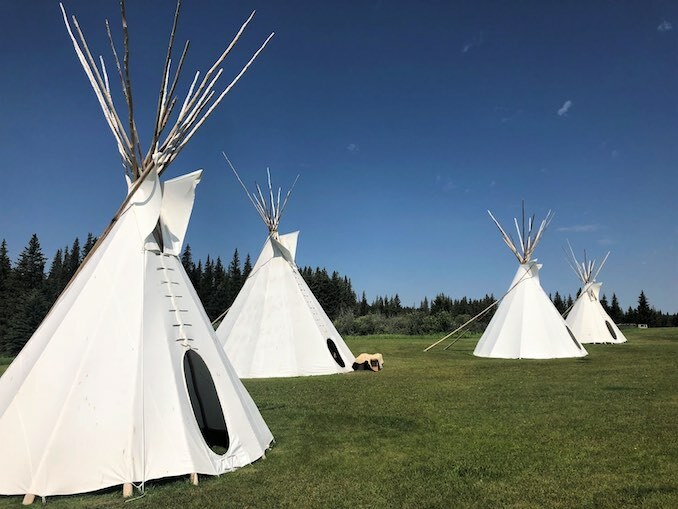 I’ve had the pleasure of visiting Fort Whoop-Up in Lethbridge, Fort Normandeau near Red Deer, and Fort Calgary in its namesake city. I also had the privileged of visiting a North West Mounted Police Post in Writing-On-Stone Provincial Park and Last Mountain House near Regina. Fort Walsh had been on my bucket list for awhile, but up until a recent trip to the Cypress Hills area I hadn’t made it for a visit. We were camping in the Firerock Campground and opted to drive the Battle Creek Road, which turned out to be a bit of an adventure on its own. The drive is roughly 50km from the town of Elkwater to Fort Walsh, but the road gets progressively worse the further east you go. It took about an hour to travel that distance, but I wasn’t even remotely upset as those backwoods roads are definitely more fun than any highway. Another historic site along the road is an abandoned log cabin. Through the power of social media and some sleuthing online I was able to uncover a few details about its history. 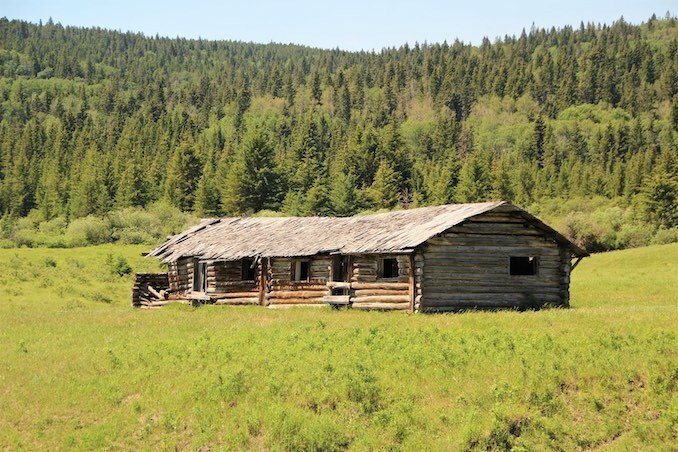 According to the Canadian Nature Photographer and the Historic Reesor Ranch it’s called the Symons Noble Cabin because it was lived in by Robert Symons in 1939 and then he sold it to Albert and Sylvia Noble just three years later and they built the addition. According to local historian Fay Beirebach the Coleman Family actually lived in the cabin prior to Symons moving in, but no-one is quite sure who built it. 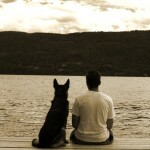 Symons was a writer, painter, game warden, and rancher living in the area. He often carried a pencil and scrap of paper to sketch the landscape. 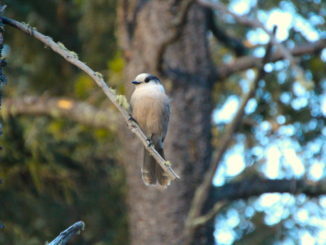 He published several books about the Cypress Hills area. The Nobles lived here for ten years while raising a family and working a nearby sawmill. In 1889 the Hudson’s Bay Company transferred Rupert’s Land to the Canadian Government, but it would still be a number of years before law and order could be brought to the western territory. In the early 1870’s the entire region was a tinderbox. 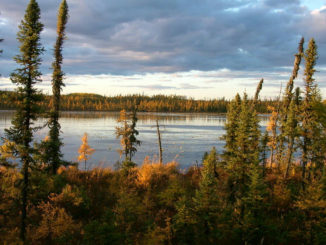 Ungoverned trading posts and whiskey forts, dispirited First Nation groups, and wolf hunters all contributed to this volatile scene. On June 1, 1873 everything came to a head when a trader discovered his horse had been stolen. 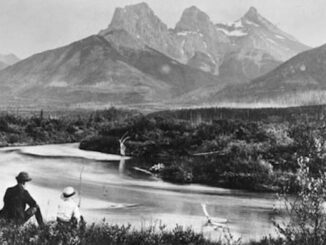 He immediately, but falsely, accused a group of Nakoda that were camped nearby. After recruiting several wolf hunters from Montana who had been drinking heavily, they attacked the camp. 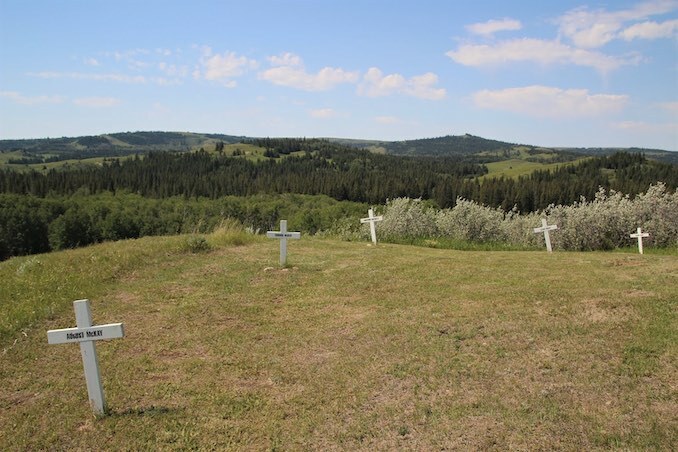 By the end of the day some twenty Nakoda men, women, and children were dead and the Cypress Hills Massacre was born. As a direct result of this tragedy the newly formed North West Mounted Police (now the Royal Canadian Mounted Police) headed west to bring order to Canada’s newest territory once and for all. The NWMP force, with some 275 men, set out from Fort Dufferin in Manitoba in July 1874. They first established Fort Macleod by the end of the year and then Fort Walsh in 1875. 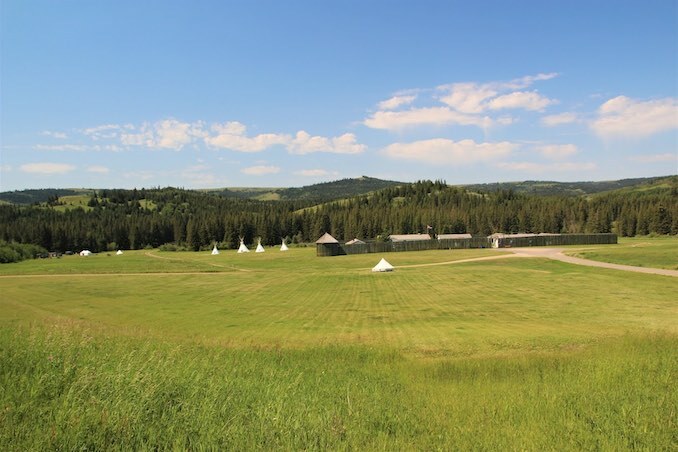 Fort Walsh quickly became the largest and most heavily armed fort in the NWMP’s possession. In a mere seven years the NWMP abolished the whiskey trade and brought law and order to western Canada. 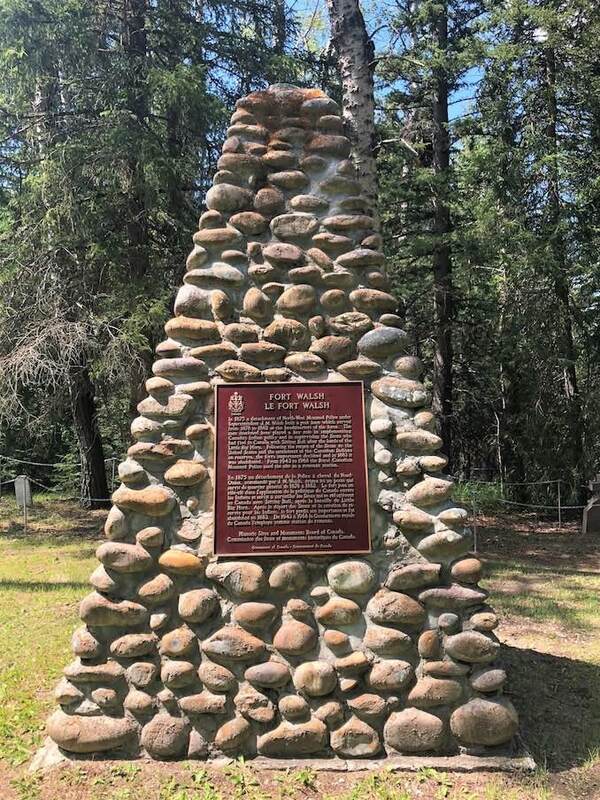 By 1880 the NWMP had over five hundred men scattered at forts hundreds of kilometres apart. They were responsible for an incredibly large piece of land. Fort Walsh’s immediate jurisdiction included some 52,000 square-kilometres of present-day southwest Saskatchewan and southeastern Alberta. 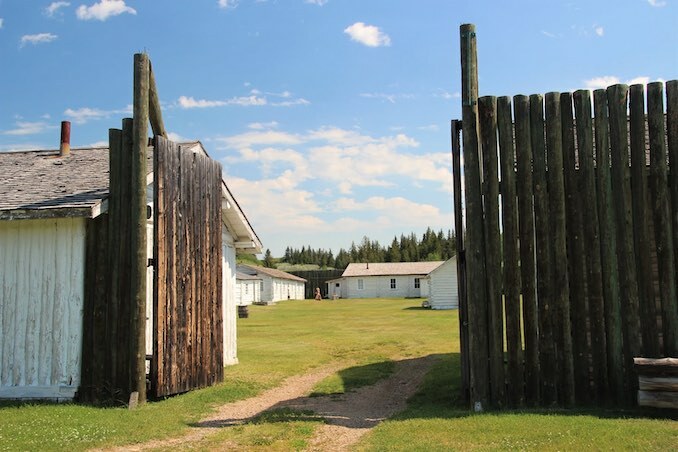 Fort Walsh was the NWMP headquarters from 1878 to 1882 and was strategically placed close to the US border. Fort Walsh closed in 1883 after its importance decreased at the end of the Lakota Crisis. 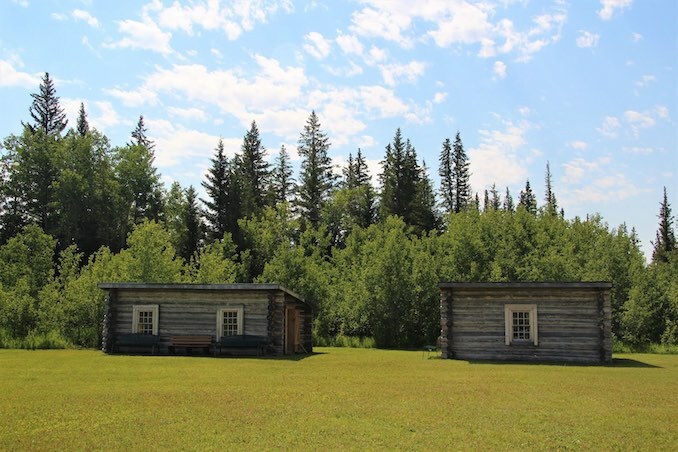 Fewer men were needed with a more secure border in place and Regina, which sat on the new transcontinental railroad line, became the capital of the North-West Territories and the new NWMP headquarters. 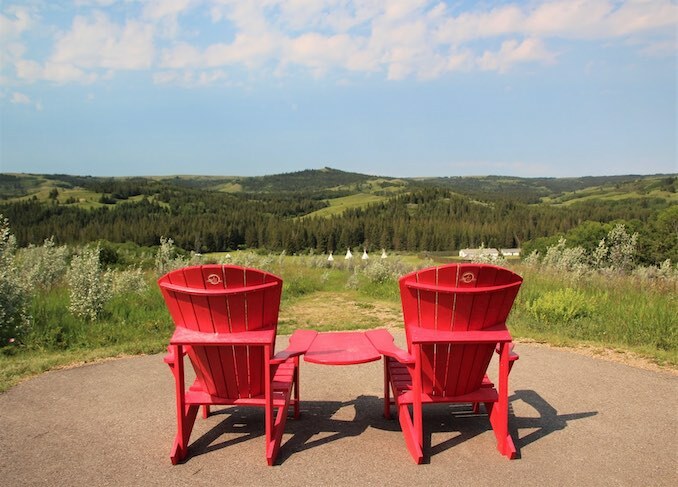 Ranching became the main economic activity in the Cypress Hills region and two men, David Wood and Wellington Anderson, developed a ranch where Fort Walsh had been. Today’s fort is a recreation of the original that once stood in these hills. 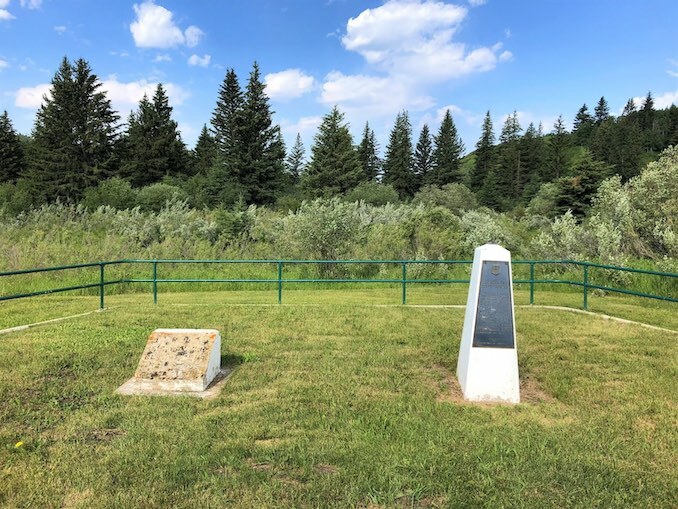 I had a great time exploring Fort Walsh and learning how this piece of Canadian history connects with the other forts and outposts I have previously visited. The staff were fantastic and they were all dressed in period costume, which adds a sense of realism and authenticity in picturing what life was like in the 1870’s. If you’re ever in the area make sure you stop and discover this important piece of our heritage.